The smart and stylish Laurent Collection includes furniture for both dining and lounging. 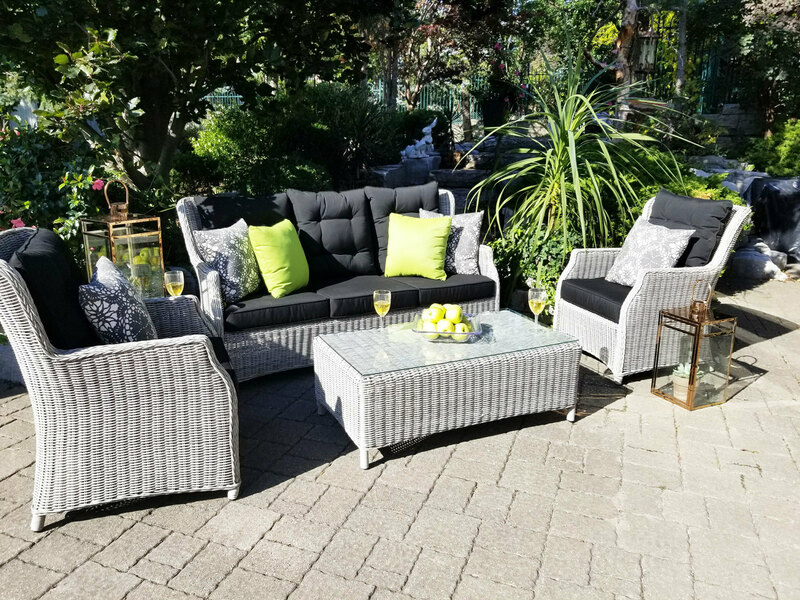 Aluminum frames are hand-woven with fine round resin wicker and plush Sunbrella back and seat cushions provide maximum comfort. The black cushions against the light coloured wicker deliver a striking contrast which gives this traditional style a more contemporary look. The lounger includes hidden back wheels making it easy to move around your patio. The dining table features a tempered-glass top with a convenient lazy susan and umbrella hole. Combining deep-seating comfort with modern appeal the Laurent collection has everything you need to create the perfect backyard getaway.